What Does eCom Cash Crusher Offer? eCom Cash Crusher is a program designed to make money in eCommerce by selling products in an online store through Shopify. The cost of the program is $37, and the creator is a man named David according to the sales video. The income potential claimed by eCom Cash Crusher is high–$40,000 a month, $2000 a day–some pretty incredible numbers! According to several testimonials, you can start to make this kind of money in a very short time with very little effort. Those of you who’ve read my reviews before will know that this is a big red flag for me. 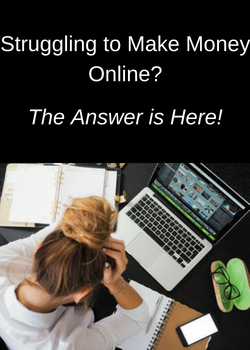 There are no shortcuts to making money online, and it takes hard work, time, and experience to build an online business to the point of making a great deal of money. But what about the video testimonials where the people claim this program is real and they’ve made big money? A quick look at them tells me that they’re paid spokespeople because I’ve seen some of them before claiming to have made huge money with other programs! If you have a money-making program that actually makes money to the tune of $2000 every day, you don’t need to hire paid spokespeople to promote it! But even if the figures are real, they are gross sales totals–not profits! Gross sales are not the money that you take home, it’s the revenue you collect from your customers. The cost of the products and all expenses still have to be subtracted before you see the actual profit made. There is nothing showing what expenses and costs were incurred in the examples above. Many experienced eCommerce marketers took years before seeing these kinds of sales numbers, and their profits could easily only be 5%-10% of gross sales! 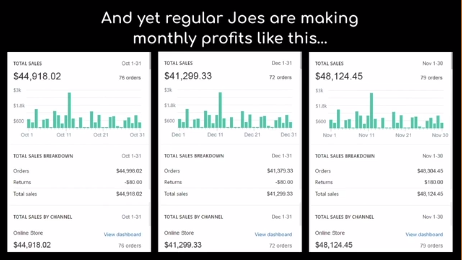 It’s obvious that the creator of eCom Cash Crusher is using sales figures as profits because most beginners won’t have the experience to know the difference. This type of marketing is deceptive, in my opinion, and legitimate programs don’t need to do this. Everything about the eCom Cash Crusher sales video was very familiar to me, and I had a hunch that when I purchased the program, I’d find a program that I’d seen before. So I paid the $37, and sure enough, I was right! Once I got access to eCom Cash Crusher, the program I purchased appeared to be a repackaged and renamed version of one that I’ve reviewed before, eCom Profit Sniper! I’d reviewed this program a few months ago and did not recommend it. 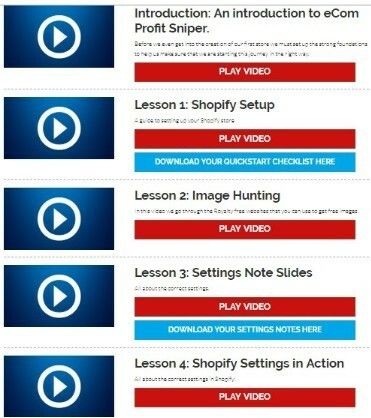 You can read my full review of eCom Profit Sniper here. When I entered the members area of eCom Cash Crusher, you are greeted with a screen that has 2 steps you are supposed to do first. Unfortunately, these 2 steps are both just affiliate links where you can sign up and make them more money. Step 1 encourages you to sign up for a free done-for-you website! However, the “free” website is given to you if you sign up for a domain and 2 years of web hosting, which will run you close to $200. The odds of this being a site that is good quality and convert well is very low. Step 2 is to sign up for a VIP Members Workshop to learn how to generate commissions. Unfortunately, in this case the live workshop is a sales video to get you to purchase John Crestani’s online marketing system. Why would you want another marketing system when the one you just purchased is supposed to make you $2000 a day? As I went through all the videos and materials, it was obvious to me that there was no more value in this revamped version than I found in the first one. Nearly all the information was available online for free or from Shopify itself. None of the information is going to enable a beginner to create an online store and start making money right away, and definitely not the kind of money claimed by eCom Cash Crusher. In one 6-minute video you are instructed to sign up for Shopify through their affiliate link, which of course will give them a commission from you every month. Then you are told to sign up to several other sites such as Mail Chimp, GoDaddy, AliExpress, AliPay, Gmail, Canva, Google Analytics, and Google Trends. 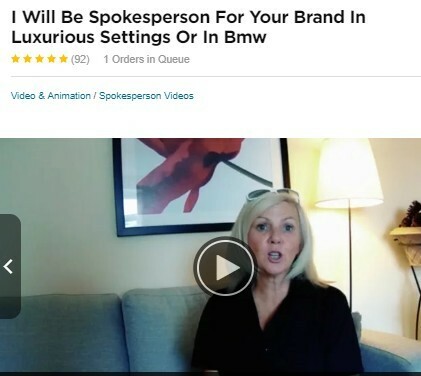 Nowhere in the sales video did it talk about the cost of the sites you will need to run your eCommerce business. For any beginner it will be overwhelming to understand what they are doing with each of these sites and how they connect to their online store. A short explanation of these sites in a 6-minute video is not enough for a beginner to know how to utilize them in their business. The biggest problem that I see with this system is that you’re told to sign up for this and sign up for that, set up your store, and then magically you’re going to start selling products! It just doesn’t work that way, and there is so much more to making an online store successful. Newbies to eCommerce are not going to be able to take the information in eCom Cash Crusher and know what they’re doing with this general workbook and videos. Worse, they’ll spend the money trying to make this program work thinking that they’ll get their money back as soon as the big bucks start rolling in. ~ Premium eCom Package, selling for $197–Basically, this upsell is about using Facebook to promote your online store, and they lay it on pretty thick with exaggerated income claims to get you to buy it! Considering that there is a wealth of information available online about promoting products with Facebook, I have no doubt that there was nothing in this upsell that would be worth $197. So I passed. ~ Premium eCom Package for $97, a $100 discount–This upsell is being sold as a way to literally make close to $100,000 extra every month, and they practically beg you to buy it by cutting the price down to $97–does this make sense? No, it only serves to show me that my initial impression of low value was correct. Seriously?! They’re finally telling the truth about something–you can have years of frustration and waste thousands of dollars on trash traffic trying to use their program to make money online. But now you’re supposed to trust that they have the answer for you if you buy something else! This traffic upsell shows you how to buy traffic with ads. But they don’t tell you that without knowing what you’re doing, a beginner can spend thousands without getting enough sales to be successful. This is definitely a pass! 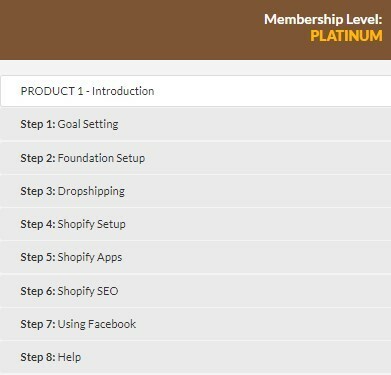 One thing I noticed when I got access to the members area was that my membership level was Platinum and all the upsell programs were in my system menu. It’s likely that it’s a bait to make me click on something in those sections, which will immediately charge my credit card with a 1-click upsell tactic. Any kind of 1-click upsell is unethical, in my opinion, and I’d stay away from any program that uses it. Again, no legitimate program markets this way! ~ Outrageous Income Claims–No one is going to start making the kind of money that is being claimed by this program. Shopify is a quality website that can host your online store, but there’s no secret sauce that will magically make thousands of dollars! It takes hard work, commitment, and time to become successful. ~ Revamped Version of a Prior Program–eCom Cash Crusher is just a repackaged version of eCom Profit Sniper, which is a system I reviewed and gave a thumbs down to a few months ago. ~ Scammy Marketing Tactics–Legitimate programs show the value of their program and allow you to see the features that you’re being offered. But eCom Cash Crusher is being marketed to naive beginners who don’t understand how unrealistic all the claims are. Then there’s the cost of driving traffic to your site. Free traffic methods can take months to start getting a significant number of visitors to your store. Paid traffic sources can cost hundreds, if not thousands, of dollars to start getting significant sales! ~ Low Quality Program Materials–When you’re paying for a program that says it can make you $2000 a day, you don’t expect it to contain general information that is available online for free. ~ Affiliate Promotions–The program is stuffed with affiliate links that will make the owners of eCom Cash Crusher money when you sign up for them. As a newbie struggles to make money with their online store, their Shopify hosting fee will be earning money from them every month. There’s also absolutely no reason to sign up for John Crestani’s promotional video or for a “free” low-quality, done-for-you website other than to line the pockets of the program owners. Here at Build Your Early Retirement, we give eCom Cash Crusher our lowest rating of 1 out of 5. Not only is it unlikely that you’ll make money with this program, but it’s very likely you could lose substantial money! Although, we gave eCom Profit Sniper a rating of 2 due to having general information for a newbie, we can’t see any value in that now. There’s just way too much free information online for anyone to have to pay for what these programs provide. 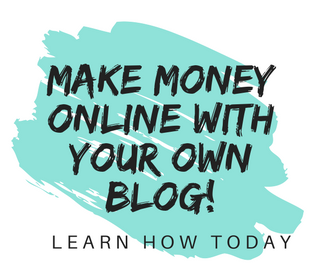 Anyone looking to make money online needs to have a legitimate program that provides real value with features like world-class website hosting, step-by-step instructions and training, and successful entrepreneurs to learn from. You will find all of that, plus more, with my #1 rated program. There’s no outrageous income claims, no get-rich-quick promises, and no scammy marketing techniques. In fact, not only can you try all of their features out before you purchase anything, you can create 2 websites free of charge–no credit card required! For more details, you can read my full review and see everything they have to offer. I can fully vouch for the quality of this program as it’s where I have 6 websites hosted and where I learned how to make money online. Do you have any experience with eCom Cash Crusher or any other make money online program? If so, I’d love to hear about it or any questions you may have in the comment section below! Thank you so much for sharing yet another scam. It is really lame to repackage something and try to pass it as something else. Also, really nice catch on the paid actors. Like you said, programs with real results don’t need actors to sell to people. The program should sell itself. Yep, you’re exactly right–no legitimate program needs to use fake testimonials, it’s always a huge red flag! I would love it if there were a way to stop all of these low quality and scam type programs from taking the money from unsuspecting beginners. Unfortunately, it’s just too easy to shut down one website and start another one up with a few tweaks to the program and a new name. Hopefully people will read reviews and get a different perspective that will help them know what they’re getting into! This was a very objective review of the eCom Cash Crusher (the name alone is a red flag for me – crusher???) platform. I have 20 e-commerce stores, only one that is hosted through Shopify (another cash sucker IMO), and can say from experience that there is no need to pay for a platform such as this to use a platform such as Shopify. Most certainly there is a learning curve involved when starting with drop shipping, selling your own products, or training perhaps online. In most cases, programs such as eCom Cash Crusher are set up exactly as you describe. The intent is to sell you overpriced, hyped with fake testimonials, and unrealistic income claims programs that enrich the creators. For all the reasons you mention in your analysis I totally agree with your final rating. There are many sites available online where you can get the training you need to get a solid start with e-commerce, and most of the training found in platforms such as eCom Cash Crusher are outdated or downright wrong. So now that we have established that would-be e-commerce marketers should avoid this and other similar platforms, the dilemma is where SHOULD they be looking to get the information on what they can do to get started? That is the million dollar question, no doubt. One source that you mention is Wealthy Affiliate. That platform offers huge value for getting a solid foundation for an online business but there is very little that specifically focuses on e-commerce. There is a lot that will cross over to that world though. 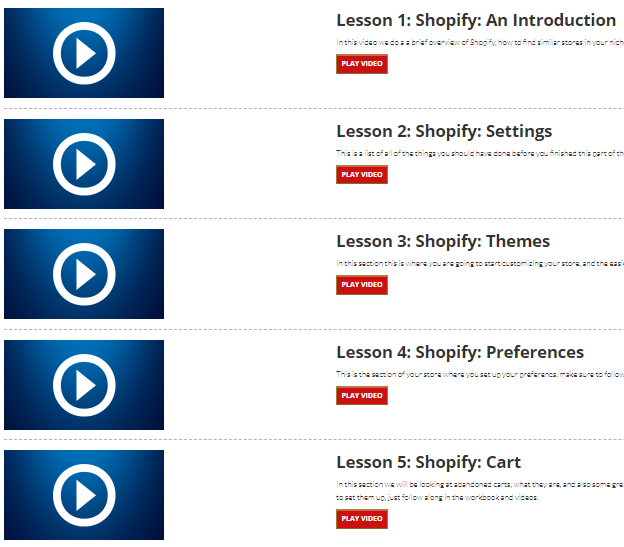 The basic training on building websites and leveraging content is helpful for would-be e-commerce store owners. If a prospect really does their research they will find a variety of platforms that will accommodate e-commerce online stores, and even provide solid training as a part of the platform. Digging deeper, you will find that long-term, depending on your goals, you will spend more money on some platforms than others. So the idea would be to determine what your goals are, look at the options, perhaps join a forum or forums to learn from others and get started with one or the other platform for your e-commerce stores. Personally, I have tried Shopify, Woo-Commerce, AliDropShip, and a couple of others for the framework of my stores. There are advantages and disadvantages with each, and depending on a person’s familiarity with creating websites. maintaining websites, and having a business background, I would say that different solutions will fit for different people. The platform and training provided in eCom Cash Crusher focus’ on selling their own questionable products over offering a viable e-commerce solution to the unwary buyer IMO. If the person wants to jump into online business having almost no knowledge of how websites are best created, then a solution like eBay, Amazon, or Etsy may be the answer. If they want to go independent from these platforms, they can go halfway and go with something like Shopify (that is an expensive platform too once you start to scale up to any degree). The other option that I would recommend would be to go slow. I mean that prior to starting an e-commerce store they get that training on how to make money online using a site such as Wealthy Affiliate, start using a blog site to publish articles on the subject of e-commerce based on their research and findings and THEN establish a store. Perhaps their first store could be a case study that they can leverage to show readers and subscribers a real-life example of how it all works and the results. This is a slower path but is a much more realistic one. There are people that have opened stores and made hundreds of thousands of dollars in sales (not profits) in a month or two, but these are the exception. These are people that have been in the business for a while and they are not starting from scratch. 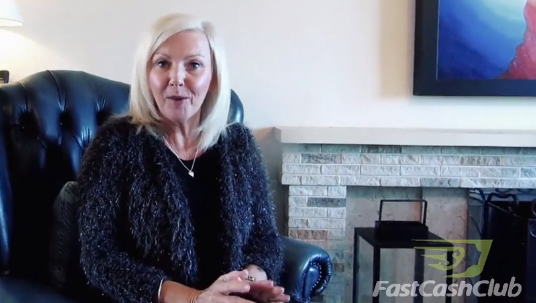 I know of no person that has had huge success like the numbers that eCom Cash Crusher claims. It simply is highly unlikely, and for the creators to sell people a dream at a huge cost is unethical, in my opinion. So I go back to where I started this comment: This was a very objective review of eCom Cash Crusher and as you have concluded, the product is NOT worth the money, even for the front end. It simply does not provide the value I would expect. People buying it will be disappointed and not be any closer to getting a viable online e-commerce operation operating and making them money. Thank you so much for providing my readers with a wonderful overview of your expertise with eCommerce and creating an online store! Creating an eCommerce business can be very rewarding and lucrative, but not by spending money on programs like eCom Cash Crusher. Your comment is a testament to the hard work and time it takes to become a successful eCommerce marketer! This is an insightful and informative review on the eCom Cash Crusher. I cannot believe that they have been using fake testimonials for promoting their product. I mean two hundred dollars a day sounds too good to be true. Anyways I think I dodged a bullet here and I should thank you for sharing this post. You’re welcome, and if you’re looking to start an online business, I recommend you check out the free starter membership with my #1 rated program. You can Is Wealthy Affiliate Real Or A Scam? My Review, and there’s no credit card required to create up to 2 websites! It seems the obly thing that will be crushed are your hopes and dreams if you are unlucky enough to fall for this trap. I have fallen prey to scams like this before so i really appreciate when i see this kind of honest review warning people of the danger ahead. 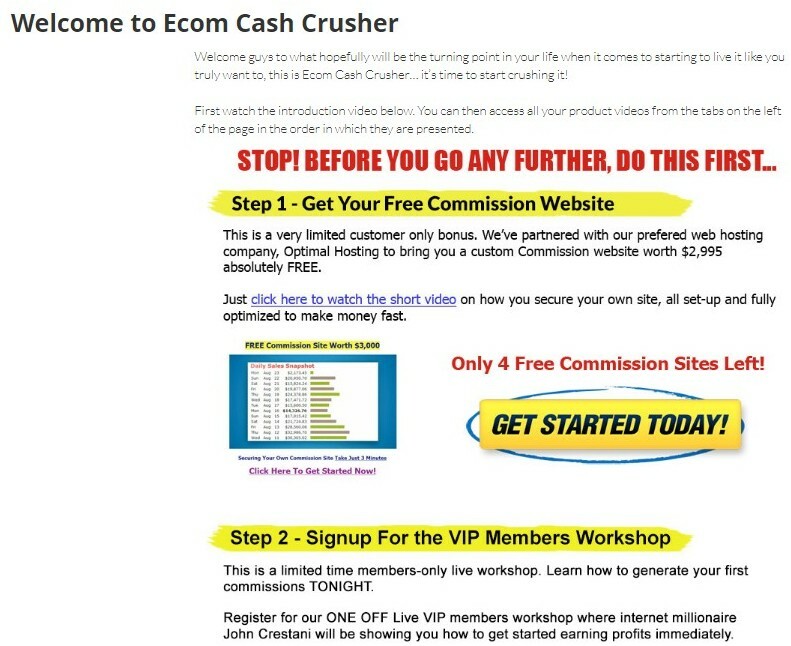 eCom Cash Crusher is not the first scam nor will it be the last but it is a great learning opportunity. People can now learn the tell tale signs of a scam, like repackaging the same product with a new name or making crazy promises or even hiring actors and actresses to tell you how great the product is. Thanks for sharing this and warning us about this scam! You’re welcome! There will always be people out there trying to sell something like this, but the more reviews people read, the more they can see the sales pitches for what they really are–an attempt to empty your wallet! Thanks for taking time to go through the website and analysing the details using illustrations and facts. I wish there are reviews like this on most money making websites so there will be reduction in victims of these websites as most really do not have deep knowledge before getting involved with their earned money. Kudos, this is really helpful. 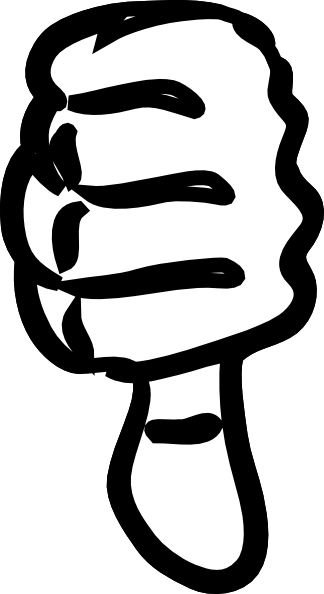 Thumbs up. I always get so skeptical when I see this too good to be true promise like you can make $2,000 a day. If it is the truth, why do they want to share that secret with us? I will keep that to myself. Anyways, thank you for this thorough review. I really do hope people do their research first before they join any program. There are still good programs with a reasonable price, we just gonna have to be practical that making money online will not and ever be just a one click away. Making substantial, consistent money online will always take time and effort, and it will never be just one click away like you said. There are good programs out there that will train you and host your website along with a community of marketers to help. My #1 rated program is the real deal, and I hope people do their research to see the difference! This is a very insightful review of eCom Cash Crusher. It is a must-read for anyone who is getting into eCom business. I loved how each and every detail from smaller to bigger is being covered in this review. This scam now stands totally uncovered and exposed. However, I would also like to see an alternative solution, so that people get some direction on where to head towards. I am sure your other posts may guide them towards this as well. Anyone looking to make money online should definitely check out my #1 recommended program. It’s totally legitimate and has everything you need to start making money online. It’s where I host all 6 of my websites and learned how to be successful! I really appreciate you for this life saving report. This will go a long way to hunt down another ripping site on the internet. I have people who already fell victims of different scams form different websites, this websites claiming and deceiving unsuspecting victims. I always intimate my friends to be wary of any make money online schemes. especially ones like ecom cash crusher that promises heaven on earth in very short time, they are nothing but waiting to rip them of their hard earned money. I will recommend and share this post with my friends so they can learn from it. Thank you so much, and I’m very glad you found it helpful!